The Lego Movie 2 Trailer Builds Excitement | Nerd Much? 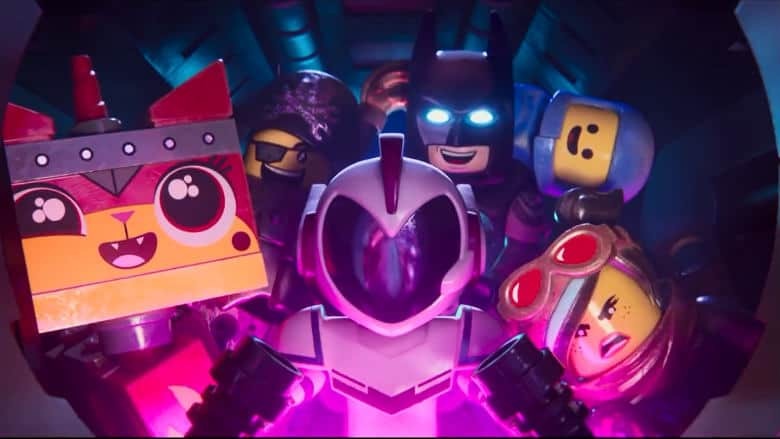 Warner Bros. Pictures has dropped the first trailer for The Lego Movie 2: The Second Part. But for simplicity’s sake, we’ll just be calling it The Lego Movie 2. And in this sequel, everything is not awesome. The trailer indicates that The Second Part is set “five years since everything was awesome.” Bricksburg now looks as though it’s the setting of a Mad Max movie, a style that is clearly intentional by director’s Mike Mitchell and Trisha Gum. “The Lego Movie 2: The Second Part reunites the heroes of Bricksburg in an all new action-packed adventure to save their beloved city. It’s been five years since everything was awesome and the citizens are facing a huge new threat: Lego Duplo invaders from outer space, wrecking everything faster than they can rebuild. The movie is absolutely stacked with talent. Chris Pratt returns as Emmet Brickowski, our unassuming Master Builder hero from the initial The Lego Movie. Elizabeth Banks co-stars again as Wyldstyle, Emmet’s girlfriend and much, much more talented Master Builder. And Stephanie Beatriz looks to play a major role in this installment as Sweet Mayhem. Will Arnett is back as Batman, who also happens to be Wyldstyle’s ex. Nick Offerman is MetalBeard, Alison Brie plays Princess Unikitty, Charlie Day is Benny the Spaceman, and Tiffany Haddish voices Queen Whatevra Wanabi. Oh, and let’s not forget Channing Tatum and Jonah Hill as Clark Kent/Superman and Hal Jordan/Green Lantern. We don’t have terribly long to wait before reuniting with our Lego friends. The Lego Movie 2 hits theaters on February 8th, 2019. But for more Lego goodness, checkout the recent Lego DC Villains announcement or our coverage of Lego The Incredibles.